Fill a medium sauce pan with water and bring to a boil over high heat. Add the green beans and cook for 3 minutes or until cooked to the desired level of doneness. Drain well. Place all salad ingredients in a large bowl and set aside. Add the desired amount of dressing and toss to combine. Serve and enjoy! Place all ingredients in a mason jar, cover and shake vigorously until emulsified. If you prefer to use a food processor, add the oregano after processing the dressing. 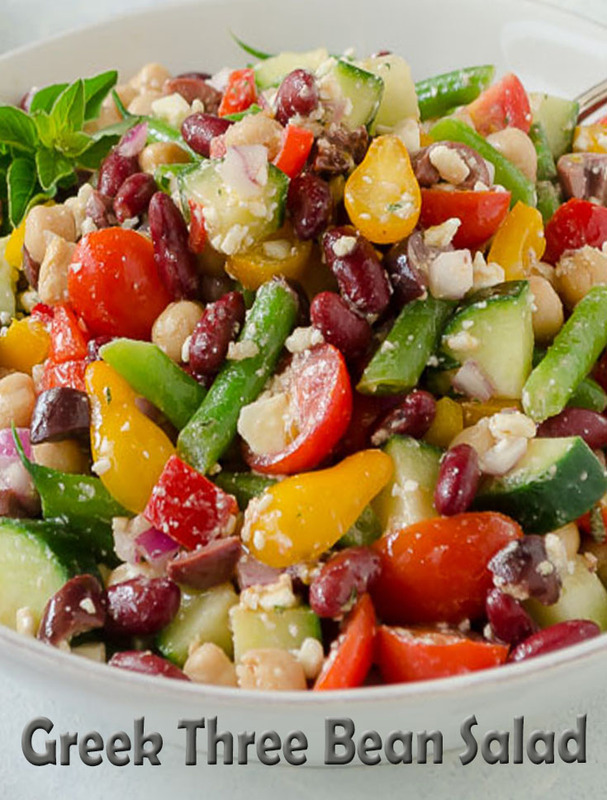 Toss with your favorite salad and enjoy!